Classical Expressions is pleased to host the winners of the 2017 Michael Hill International Violin Competition, Ioana Cristina Golcea, and the 2016 Sydney International Piano Competition of Australia, Andrey Gugnin (Moscow). Justly proclaimed 'ones to watch' this unbeatable duo will perform a programme of lush Romantic and contemporary music including Schubert's Rondo Brilliant in B Minor, an exhilarating duet of unbridled virtuosic flair, Brahms Sonata No. 3 in D Minor, filled with stormy passions and the Romanian folk songs of Enescu's dreamy and seductive Sonata No. 3. This will be an international extravaganza and a highlight of the 2018 programme. 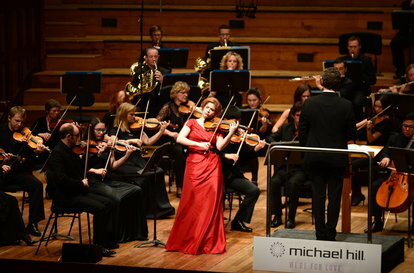 In association with Chamber Music New Zealand.